This blog is born of our dealings with various expat issues such as buying and selling property, getting a DNI, traveling, starting businesses, hiring people, procuring services, dealing with language barriers and cultural barriers and much more. We hope that you find the information we provide useful and hope that you comment with questions, concerns and topics of interest. The likelihood is that we have lived the majority of the experiences that there are to live in this set of circumstances, but we are always open to hear your opinions. one question? do you know where i could find a good tattoo shop near montserrat? thank you so much for your great blog!! Thanks for the comment! I am not much into tatoos unfortunately so couldn’t be much help there. Sorry! Loved your recent blog entry on real estate and argentina… I would love to ask you for a small piece of advice via email if that’s possible. my email is mike@propeller.net.nz. Thanks for the comment Mike! 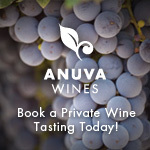 Please send me an email to daniel@anuvawines.com. Cheers! Hi Daniel, i really like this blog! Buttermilk more accurately translates as “suero de leche”. You can look up how to make it online… it’s not easy! Let me know if you find and easy way (easier than making butter from milk and then using the leftover (which is buttermilk) and I will publish it on this blog… Suerte! Thanks for the comment Stephanie! I have lived here for 8 years and before that in Los Angeles for 7 (5.5 of those in downtown (before the renaissance) and Venice – both of which were way way way higher crime and more violent crime than here). I think that if you compare petty crime you would find Buenos Aires on par with any other major city in the world. If you simply watch out and take the proper precautions you won’t have any problems. Violent crime is obviously way less than in the USA, where guns kill over 10,000 people per year. In this sense it is much safer here than in the US. 1. You want your apartment to be “contra-frente” if possible. This means it faces the inside of the block. That way someone cannot climb in over your balcony. 2. Get an apartment higher up in the building. 3. Get a building with 24 hour security and a camera on the door that you can see from your TV. 4. Live on a well lit, well trafficked street. Thank you for your reply, Daniel! It’s very encouraging to hear that BA is so child-friendly. We’ll listen to the podcast tonight. I could not agree more with this comment. Argentina is just as safe as any other major city. Their news and people in general focus more on crime and people in the U.S. just sweep it under the rug. I live in L.A. and you hardly hear about the murders that happen in the same neighborhoods you live in. If I could, i would move to Argentina in a heart beat. Question: What sorts of professional jobs could an American with a Bachelors get in Argentina to support a nice, middle-class lifestyle? Are you familiar with what other American expats do for work there? And further more, what could a young American without a Bachelors who has ample professional experience in Finance and etc do? And what are the Argentine Universities like? Thanks for the comment! The job market here is very tough for anyone. You should not assume that because you have a Bachelor’s degree from the USA that that will give you an advantage. Unemployment is chronically high here and there are many many educated Argentines you are competing with. Unfortunately, there is no “this is where expats get a job” place. You have to fight just like everyone else. Suerte! But then I read a couple of post and I could really identify with them. When I find time I’ll try to read them all. Just loved. Thanks for your comment Sandra! Thanks for the comment Steve! Would you care to make any comparisons? Argentina vs Russia vs USA? Russia is a culture I know virtually nothing about, except for the sweeping generalities. Interesting thought, I myself know little of Argentina except what I learned in history class and Madonna’s movie. I know from the sweeping vistas that I’ve seen the beauty of Argentina, maybe we could do some other comparisons and see where it goes. Here in Russia the people are quite reserved and rarely smile in public, this is at least true of the older generation. I’ve watched the younger generation and they have a more cheerful nature to them. What has been interesting is to see how they treat their elderly people here, I’ve seen a lot more respect here then I ever witnessed in the states. Young men reaching out their hands to help old women on the bus, to rushing to their aid if they fall. I’ve come to have a much broader view of the world since living here. So to answer your question, yes. Let’s give it a go. I would like to know how do retiree people solve the problem of health insurance. Are there some agreement with medicare and some argentinean institution? or you are in your own paying private doctors or going to public hospital. If you have some information or could tell me where I can find these information I will really appreciate your favor. Thanks for your comment. Unfortunately I dont have that exact info. I suggest speaking with medicare first to see what they provide. Cheers! Che, que onda? I was born in the States but have been traveling to visit family in Patagonia since I can remember. This experience is probably what led me to the desire to teach English in Buenos Aires, since it was a city I always passed through. I have been reading your blog, and becoming more and more excited for my own expat experience. I have many questions, but thought I could ask you about what would be a good neighborhood to look for apartments, or even something with a yard, since my fiance and I have a little pooch. Any suggestions? Thanks for the comment! This is a very broad question and begs so many details: do you like to live close to where you work? Do you have a car? Do you have a place where most of your friends live? I can really only give very broad advice which is that rents go way down as you go farther out of the city, especially if you were to go to a neighborhood like Ballester (super middle class). I suggest doing a lot of research online about rents and transportation. Cheers! Thanks for your comment! Let’s see, there are a lot of English teaching opportunities in BA, but it definitely helps to have a TEFL certificate. Do you have yours? I received mine from the TEFL International Buenos Aires with Brad and Michelle and it was very helpful. I had a job before I even finished the course! You can contact them through their facebook page here: https://www.facebook.com/pages/TEFL-International-Buenos-Aires/6558017028. If you don’t have enough time to take the course you might try to contact some institutes directly. I’ve heard good things about the International House if you want to start there: http://ih-buenosaires.com/. As for nannying and still-life modeling your best bet would be to check out Craiglist Buenos Aires: http://buenosaires.en.craigslist.org/. They always have posts for some short-term work. Good luck and enjoy your stay! Hi,I’m Angeles … would you help me? what’s de equivalente in Argentina for Heavy Whipping Cream? thanks a lot!! !